Before you sign up and begin praying, meditate on these scriptures; Isaiah 62:6&7, IIChronicles 7:14, Ezekiel 3:17 and Joel 2:32. 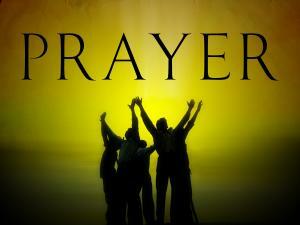 Allow the Holy Spirit to minister to your spirit concerning the need to pray for our beloved Ghana. Next, read Joel 9 with special focus on the promise in verse 17 to 21 for the preservation and restoration of Ghana to be the Holy Mountain of God in Africa. Beloved, may God separate the sheep of His pasture from the goats of destruction in our beloved nation. Enough is enough!!!! This is a choice we must all make to stand in faith and refuse to permit the enemy to use the past to hold our nation's future ransom. Calling all believers to the prayer wall!! !